PLC Panels | EGM, LLC. EGM Automation employs full-time, on-site PLC programmers who are fluent in specifying, configuring, and programming a wide range of hardware platforms from GE, Siemens, and Allen-Bradley. 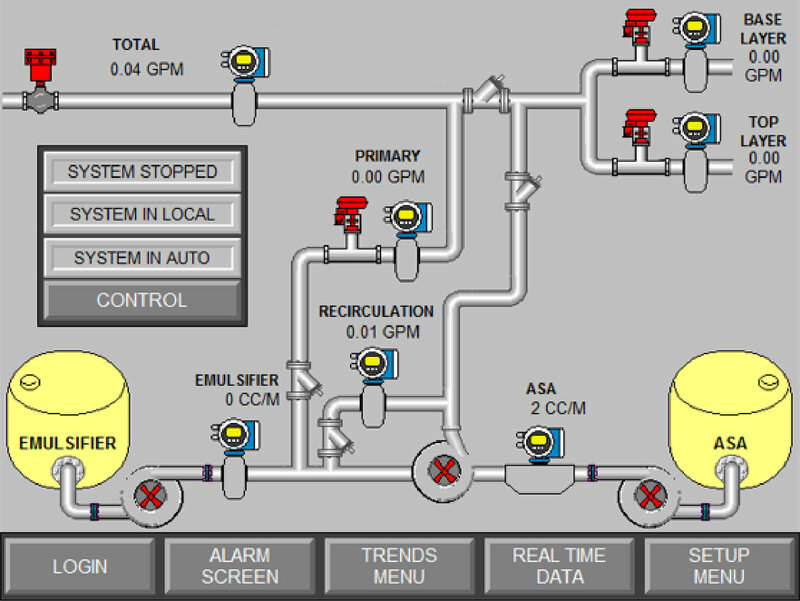 PLC and HMI programs can be written to provide customer specified functionality or the program design and computational routines can be developed in conjunction with EGM process engineering expertise. PLC based systems can also incorporate ancillary communication hardware to allow for seamless integration to other, external control systems as well as be equipped with cellular modems to allow for remote PLC programmer “dial-in” connection to make modifications to the programming without the delay and expense of an in-person visit. PLC programs that are developed for repeat use or OEM applications can be configured to have customer-specific display information, giving the final product a proprietary and customized look and feel.